The activities will involve, among others, Gerry Badger, Jacopo Benassi, Lorenza Bravetta, Marco Delogu, Guy Tillim, Paolo Ventura, Francesco Zanot, Michele Ardu, Maurizio Caprara and Davide Di Gianni. 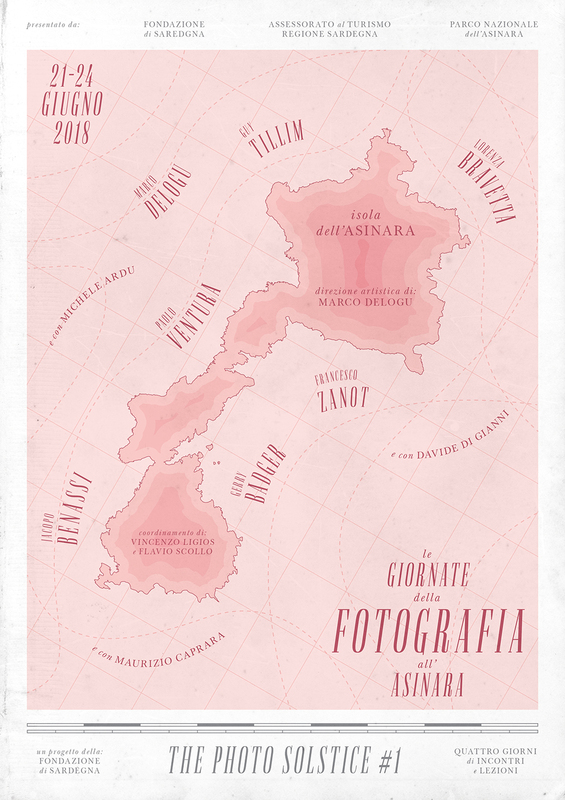 The Photo Solstice is a project of the Sardinia Foundation in collaboration with Su Palatu Fotografia, Punctum and Asinara National Park and with the patronage and support of the Tourism, Crafts and Trade Department of the Autonomous Region of Sardinia. Organization: Vincenzo Ligios, Flavio Scollo.